When it comes to DIY decorating tips and trips, Katie Del Castillo has mastered the art of making a rented space your own. 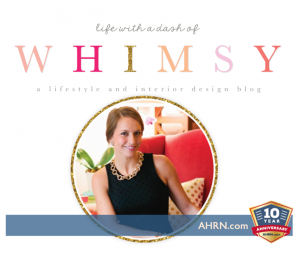 On top of her active duty Army career, Katie writes about her passion for interior design on her blog Life With A Dash of Whimsy. We have invited Katie to share her tips and tricks as a regular guest contributor here on AHRN.com! My name is Katie and I’m an Army officer by day, but an interior design enthusiast at heart. I have a passion for all things pretty, whether it’s a beautiful dress, an amazing sofa or a breathtaking sunset. I love to decorate, entertain, run, cook and travel. I believe that everything in life should have a little pizazz, and that a dash of whimsy is the key to making a house a home. 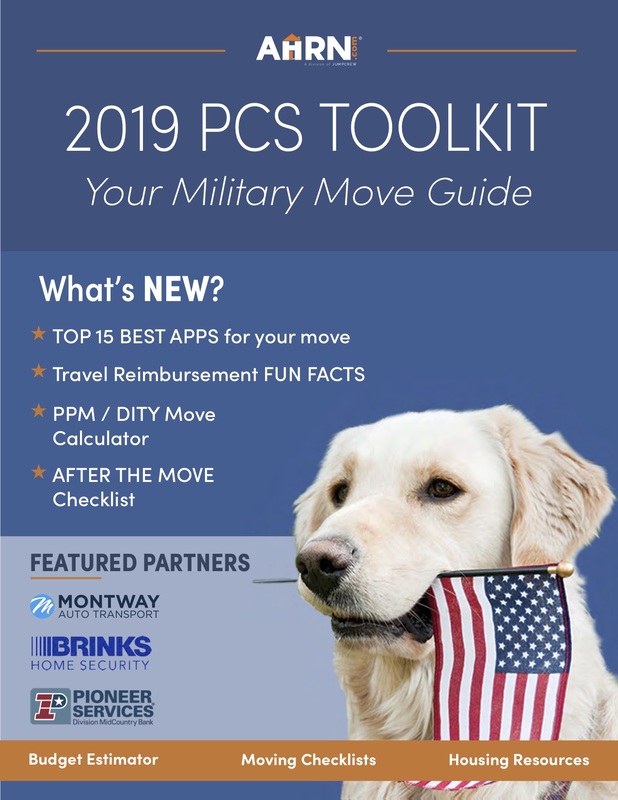 Military service members and families move around so frequently, and often times it can be isolating and a bit scary moving to a new place. Creating a comfortable and welcoming retreat is the easiest way to make yourself feel at home in a new place, no matter where in the world you are stationed! My design philosophy is to buy only what you love (including furniture that is sturdy and will survive a cross-country move), collect unique items from wherever you live or visit, and use your home to tell the story of your life and travels. We asked Katie for some of her favorite tips for rental decorating. She sent us four fabulous blog posts ranging from furniture arrangement to entertaining. Check out a few of Katie’s favorites and look for her guests posts coming soon! If you move to a smaller apartment, get creative and use your furniture in unexpected ways! Your desk can become a bedside table, your bookcase can create storage in your bathroom, and a screen can act as a closet where you can hid all the stuff you can’t fit in an actual closet. Don’t be afraid to put something in a place where it doesn’t typically belong! Read more…..
What part of your home do you need help decorating? I need help decorating every room lol, especially our small office! That just needs a really good organizing since space is at a premium in that room. Kara- my home office is always in need of more organization! I got the gallery walls…. everything else? Not so much! hello Katie ! I was open a restaurant. bt i dont understand how to i decorate it.. i want decorate my restaurant with a theme so plss suggest me that how to i decorate my restaurant on a different theme.